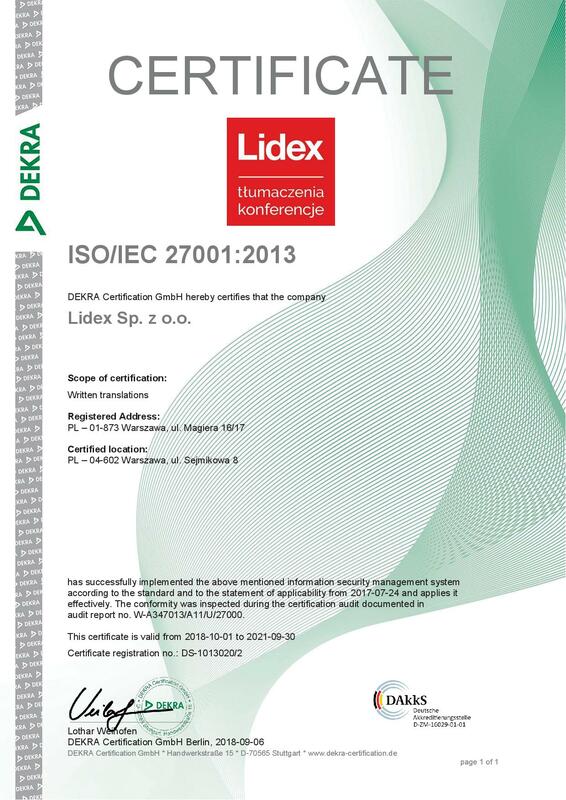 Corporate social responsibility at the LIDEX Translation Company. Corporate social responsibility is a concept that is inextricably linked to our development strategy and philosophy of operation. CSR is our deliberate and conscious involvement with issues and initiatives pertaining to the social, business and cultural environment. This involvement is reflected in many fields and areas of our activity, including the strategic, purposeful sponsoring of culture and science as well as our long-standing commitments towards charity. For the totality of our initiatives, undertaken within the framework of CSR, our company has been awarded the "Symbol of Social Responsibility" (under a programme managed by the Dziennik Gazeta Prawna newspaper). 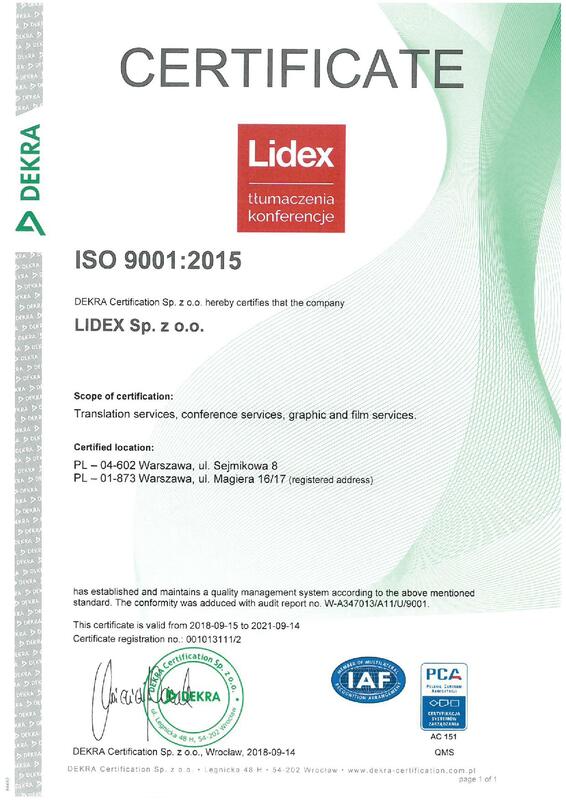 For many years, LIDEX has been a sponsor and partner of the Royal Castle in Warsaw, becoming involved – in a non-commercial capacity – in the activities aimed at the promotion of culture and art; our company provides translation services, technical support along with the necessary technical infrastructure as well as interpreting services for prestigious events held at the Royal Castle. Our partnership with the Zachęta National Gallery of Art is based on similar terms. We are engaged in particularly close cooperation with the Ex Animo Foundation as well as with the Foundation for Children "Help on Time"
We also engage one-off philanthropic projects. The Be visible! publicity campaign may serve as an example. We have designed and executed special packages for first-grade students which, apart from our proprietary reflective bands (5,000 units distributed), also included the "Safety on the Road" and "Getting to School Safely" colouring books. 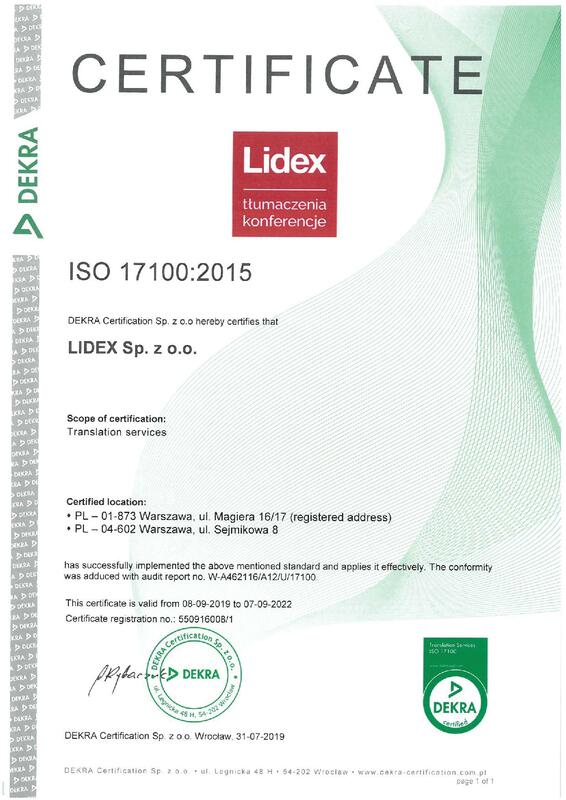 The campaign was held in primary schools in Warsaw as well as in those cities where LIDEX has its branch offices (Gdynia, Katowice and Łódź). We wish to make our experience and good practices established available to ambitious young people standing at the threshold of their professional careers. It is with them in mind that we organise student internships and work placements for students of the Warsaw University of Technology, the Military University of Technology, the Warsaw University and the Warsaw University of Life Sciences. THE SYMBOL OF SOCIAL RESPONSIBILITY LIDEX has successfully completed an external CSR audit and has received an award – the Symbol of Social Responsibility – for the totality of its systemic commitment towards charity, culture and society. THE ARTS & BUSINESS AWARD Together with the Zachęta National Gallery of Art, LIDEX received the prestigious Partnership of the Year award; the jury expressed its appreciation for the partnership of business and culture reflected in our long-lasting, fruitful cooperation. THE "FOR THE BENEFACTORS" AWARD LIDEX has been a partner of the Foundation for Children "Help on Time" for many years. We received the "For the Benefactors" award for the totality of our charitable contributions made for the benefit of the children under the Foundation’s care.